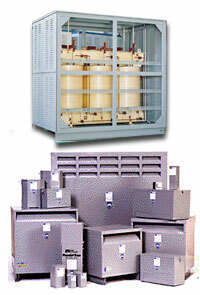 Our transformer inventory includes products from such major transformer manufacturers such as Acme, Cutler Hammer, Jefferson, General Electric, GE, ITC, ITE, MGM, Siemens, Square D and Westinghouse. .
Rare voltages or physical sizes? Not a problem because we've got them in stock. Whether you are searching for an exact part number or aren't quite sure what you're looking for, SISCO Inc.'s search tools will help you find the perfect transformer for your application. It's our job to get it right the first time. .
For more information on our stock of transformers, please CONTACT US with your inquiry.